Both gîtes have been awarded « 4 clés » by Clé vacances in recognition of the high standard of comfort they offer. Situated near the volcanic region of the Auvergne in the heart of the Cantal, 30kms from the Lioran – snow in winter with skiing, bobsleighs and dog sleds. Only 25kms from St Etienne de Cantalès beautiful lakes and reservoir offering all types of watersports. 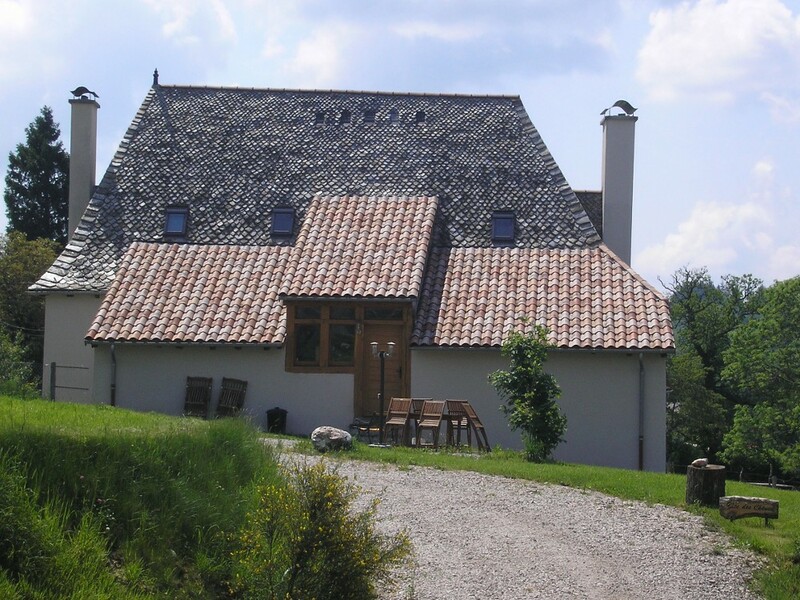 Relax in the calm of the Cantal countryside and discover the unspoilt nature that surrounds Roger and Denise’s farm. Participate in farming activities – in addition to a herd of Limousine cattle, Roger cuts and sells wood from the farms own forest and Denise and her daughter raise pigs, sheep and poultry. Local produce abounds. All the family share a passion for the farm, the region and it’s history. 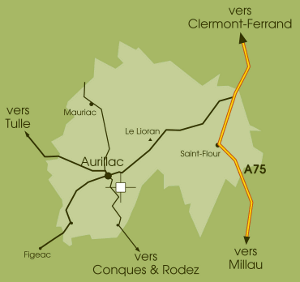 To get here you can fly Ryanair to Rodez airport which is 86kms to the South. The two gîtes form separate parts of a magnificent 18th century character house, entirely renovated in 2009 using high quality materials – chestnut flooring, oak beams and local stone, with large windows giving light, sunny interiors. 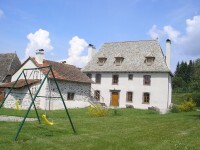 Each gîte benefits from a large private garden equipped with outdoor furniture, barbecue and swings for the children. Both gîtes have free WiFi connection and TV. Footpaths give direct access to the forest and surrounding area – walking or cycling. Once a week you can even bake your own bread in the original village bread oven. 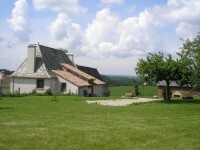 Click on the names of the gîtes for a guided tour.